We all want to save money when shopping online, right? It’s best to try using some coupon deals when making online purchases. 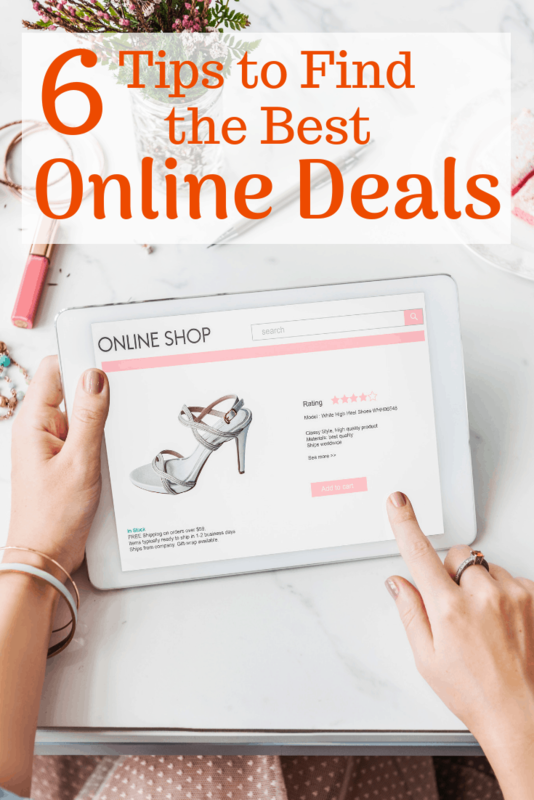 Here are some more ways to find the best online deals. 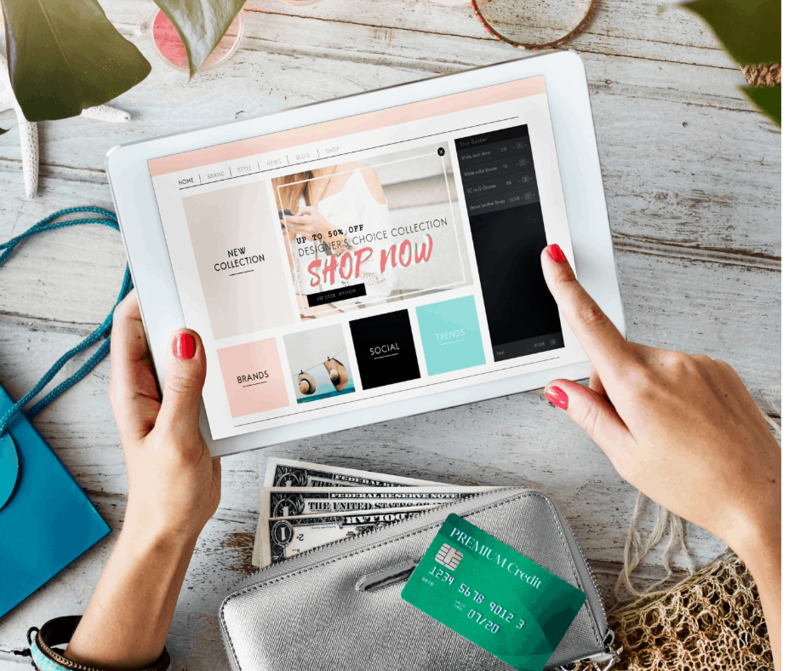 It’s just as important to shop with a list when you’re shopping online as it is when you’re shopping in a brick and mortar store. If you don’t have a list, you may have a tendency to overspend. I’m always telling my middle daughter that she could be a personal shopper because she always finds the best deals. Thankfully, she shares them with me. You’ll usually be the first to know about sales, deals, and discounts. If you don’t want tons of emails to sort through, open an email account just for deals and steals. Don’t get stuck with a product because you didn’t check the return policy. A few years ago I ordered a dress online from a “new to me” site. For some reason, I didn’t check the location or the return policy. When I finally received a hideous dress that looked nothing like the one I ordered, I was so mad at myself. When I read the fine print return policy, I realized they had a 12-hour return policy and I had missed it. I tried to contact them, to no avail. Lesson learned. Amazon Prime is a subscription service that I use often. My UPS man would agree. It’s so convenient, especially when I’m Christmas shopping and can’t deal with the crowds. Who doesn’t love two-day shipping? Add the items you want to purchase to your cart and then close the browser window and walk away – for a day or two. You can expect a coupon or promo to appear in your inbox to spur you on to make the purchase. This may not work on every online store, but I’ve done it several times and it worked like a charm. Many online sites have a referral program. If I can save money by referring my friends, count me in. I’ve saved some serious cash over the years, especially with a monthly subscription service I love. What are some ways you find the best online deals? I do a lot of these! I love to save money, so I always check to make sure I’m getting the best deal out there. I have a list of what to buy and yes, I do compare prices and also subscriptions on email so that I can track the products on sale especially those that I am planning to buy. I am All for saving money. Christmas is coming and I need to get a lot of Christmas gifts yet. The more I can save the more gifts I can buy. I agree with you about abandoning the shopping cart. I love when I receive a coupon code in my inbox that I forgot to check out, how about this code to use! I always compare prices prior to making a purchase. Also, prior to making the purchase I check to see who has the best cash back rates between Top Cash Back and Ebates. Great ideas. I always try to research products before purchasing them online. There are always good deals hidden in there. Great tips! I am always trying to wheel and deal to save money online. These are great tips for shopping online. Perfect timing with the upcoming holiday season too! Thanks for this. I always search the web for that “better” offer. Even if it’s something as simple as free shipping or a discount, it doesn’t matter, it all helps. We have 4 kids and every dollar counts. Checking the return policy is a must when shopping online. You never know when you’ll get the wrong thing, or it won’t be as described. OOOO I love the bit about walking away from the cart! THat’s a fabulous tip and one I hadn’t heard before! I do most of my shopping online and use the website/app RetailMeNot to find coupon and discount codes for everything! I hate paying full price if I don’t have to!! I need to use these tip my shopping online always end up with price that already mentioned, I don’t have much luck with coupon code. Online shopping and managing is so easy! I really am glad I am living in this time! what!? i never heard this abandon cart one. I’m going to try this i have some online shopping to do and that would be wonderful. These are great tips for saving online. I always try to find the best deal possible.